Backup camera, front/rear parking sonar, heated outside mirrors and heated windshield washer nozzles are now standard. The Prestige trim is gone, so are available adaptive cruise control, adaptive headlights, collision warning and pre sense front safety systems. The Prestige trim is gone, so are available adaptive cruise control, adaptive headlights, collision warning and pre sense front safety systems. A red cloth roof is available on Cabriolet, but must be against some sort of law (please). The base 2.0T model sees a big jump in power: 252-horsepower from its 2.0 turbocharged 4-cylinder, up from 220. The front-wheel-drive powertrain takes in the sluggish CVT (continuously variable transmission) for a dual clutch seven-speed. The 3.0T also gains horses: up 23 to 333. Fuel mileage improves dramatically: 20 city/30 highway on this all-wheel drive supercharged V6 luxury sedan is impressive EPA numbers. The 3.0 TDI turbocharged diesel stays the same, though a higher final drive ration improves city mileage 1 MPG to 25. 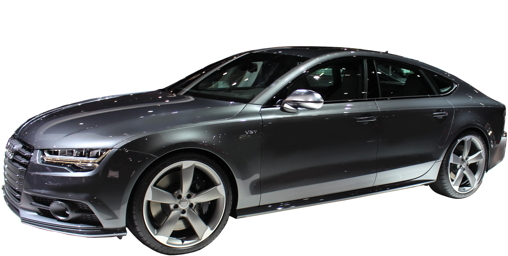 Automatically dimming side mirrors and hands-free keyless entry (Audi Advanced Key) are now standard. 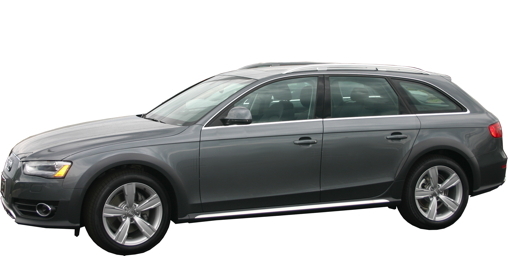 Massaging front seats, memory passenger seat, power trunk lid and high-beam assist are available. Secondary Collision Brake Assist has been added: after a collision has been detected, the brakes are applied to prevent secondary collisions. New front grille, bumpers and headlights. The 3.0T A7 gains horses: up 23 to 333. Fuel mileage improves dramatically to 20 city/30 highway. LED headlights are now standard. Massaging front seats, memory passenger seat and high-beam assist are now available. Secondary Collision Brake Assist has been added: after a collision has been detected, the brakes are applied to prevent secondary collisions. 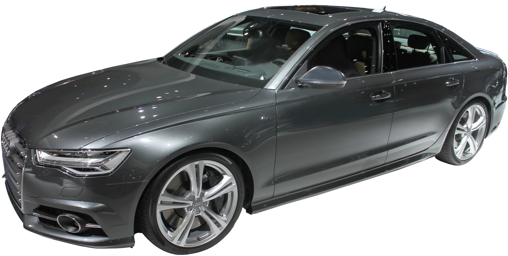 The A8 short wheelbase is no longer offered, leaving only the A8 L. Buyers wanting five inches less of Audi's big aluminum luxury car will have to splurge on the S8. 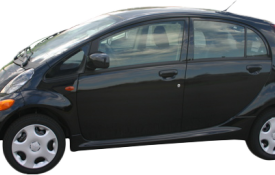 This means a higher starting price ($82426 with destination) and more standard equipment, such as four-zone automatic climate control, with separate temperatures for the left and right rear seats. 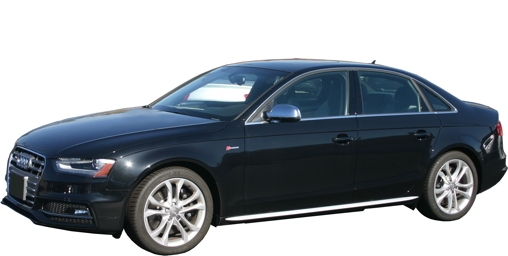 The A8 L 4.0T gets 15 more horsepower, for a nice, round 450. 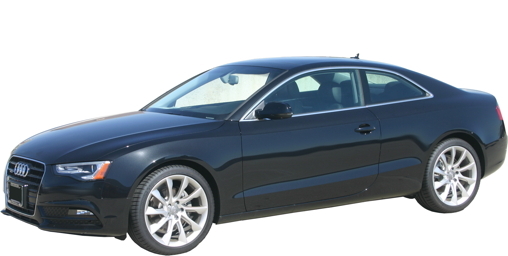 New 21" wheels are optional on the A8 L 4.0T. A mild refresh changes the grille and front fascia. A backup camera, front and rear parking sensors, voice control are now standard. 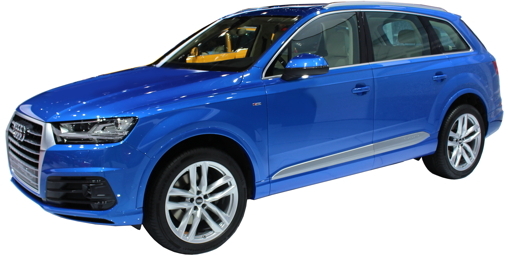 Q3 Prestige models have full LED headlights, and xenon headlights are standard on all other models. A power lift gate is now standard. 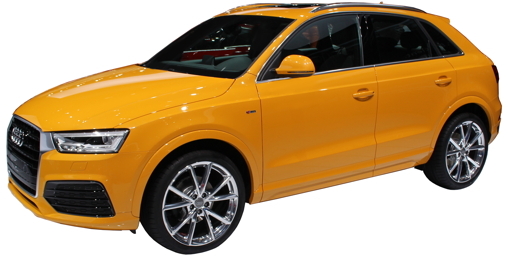 20-in wheels with 255/45R20 tires are standard on Q5 Prestige; 21-inch wheels are available. Panoramic sunroof is now standard. This all-new model is powered by a carry-over 333 horsepower supercharged 3.0-liter V6 or a new turbo diesel 3.0 V6 making an impressive 272 horsepower. 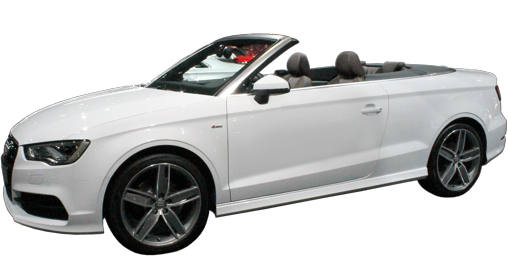 Also making an appearance is a 2.0 turbo charged four-cylinder with 258 horsepower. 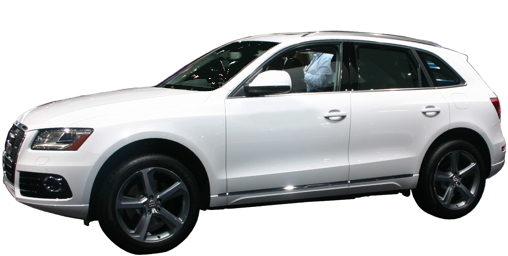 The Q7 loses about 400 pounds. New front grille, bumpers and headlights. Mechanically unchanged. High beam assistant is now optional. Heads-up display is now standard. 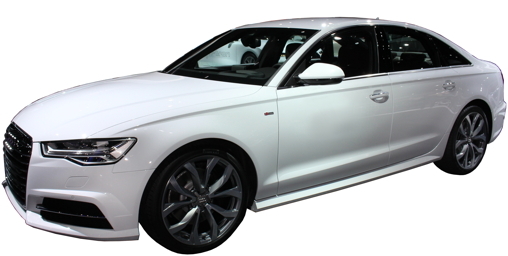 The engine in the S6 is up by 30 ponies to 450, helping to keep this high-performance sedan competitive. Fuel mileage ratings are not available, yet. 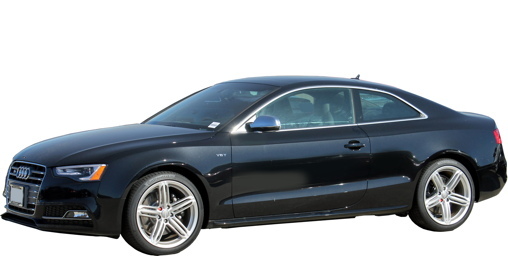 The entry level S6 Premium Plus starts about $5000 less than the 2015 S6. 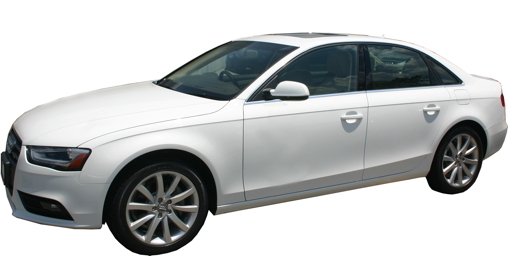 Equipment made extra cost or only available on Prestige trim: LED headlights, power trunk lid, ambient LED interior lighting, BOSE stereo, heads-up display, manual rear-side window and power rear sunshades. High beam assistant is now optional. Secondary Collision Brake Assist has been added: after a collision has been detected, the brakes are applied to prevent secondary collisions. New front grille, bumpers and headlights. 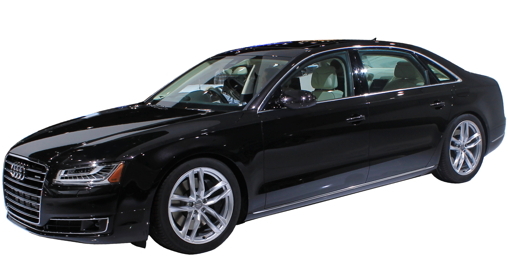 The engine in the S7 is up by 30 ponies to 450, helping to keep this high-performance sedan competitive. Fuel mileage ratings stay the same: 17 city/27 highway. LED headlights and a heads-up display are now standard. High beam assistant is now an option. 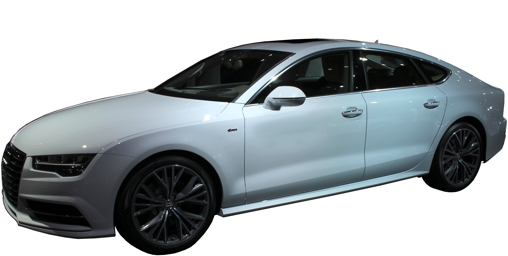 All-new sheet metal for the Audi sports car gives it a clean, machined look. 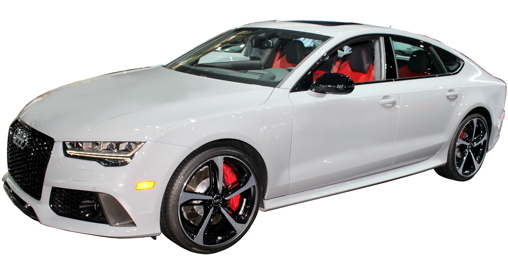 The 2.0 four-cylinder turbocharged engines are upgraded for 2016: The 2.0 from the A5 2.0T for the base model, giving it 220 horsepower (up from 211). 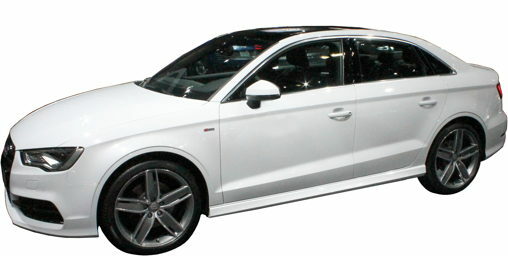 The TTS receives the engine from the S3, with 292 horsepower. Strangely, in this day of eight and nine-speed automatics and seven-speed manuals and SMGs, the TT sticks with its six-speed dual-clutch SMG. A new Quattro system (Audi speak for permanent all-wheel-drive) can now vary its torque split, emphasizing rear-wheel-drive for performance when desired. LED headlights are now standard, helping the new TT to blend in with its Audi stablemates, most of which already sport LED headlights. The interior improves on a trick from the Jaguar F-Type: the a/c controls are digital knobs; in thew TT they rest in the centers of the a/c vent dials, taking up no room on the dash; this includes the heated seat controls. Cars like the Dodge Challenger have supplemented their instruments with high-resolution screens for some time, allowing driver's to tailor the information in front of themselves. 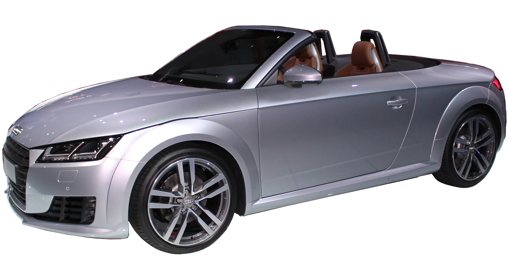 The TT replaces all of the instruments with a high-resolution 12.3-inch display called the Audi Virtual Cockpit. This allows unprecedented flexibility for the information displayed to the driver. The instruments can even be combined with navigation pictures from Google Earth. Sadly, none of the choices seem to include full gauges to monitor things such as oil pressure.